Our company was founded in 1971 by James R. Harris, as the Jimmy Harris Grading Company. This grading company was located in Covington, Georgia. In 1976, the business of the company changed from grading to the hauling of sand and gravel. To reflect this change in business activity, the name of the company was changed to Jimmy Harris Trucking. The company was incorporated in 1981, in the state of Georgia. From the beginning, the company was based on a dedication to providing on-time delivery and excellent customer service. As the reputation of the company spread throughout the Covington area, the customer base expanded and the company rapidly grew. New trucks were purchased and new drivers were hired. Management made the decision to further expand the company by acquiring Riddle Contractors in Athens, Georgia, in 1983. The assets of the company were combined with the existing assets of Jimmy Harris Trucking. This move resulted in both a major expansion of the company and the establishment of a base in the Athens area. In 1988, the company opened an office in Lithonia, which was in operation until 1991. In 1990, the company expanded once again with the purchase of property for a new office in Covington. 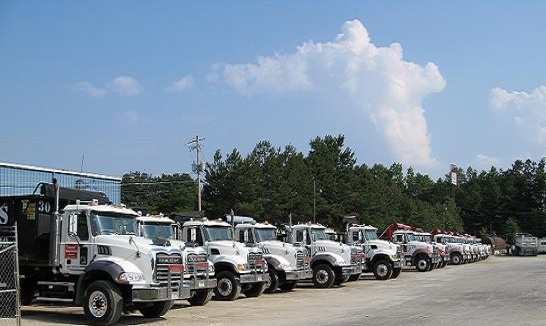 In 1993, the company again expanded with the purchase of Martin Marietta's Auburn trucking division. In January 2000, the company purchased the Miller Grading property in Covington and started Harris Containers, a division of Jimmy Harris Trucking, Inc. and Harris Transfer Station. The Athens and Auburn locations were sold in October, 2000. On April 28, 2009 Mr. Harris officially retired and sold Jimmy Harris Trucking, Inc. and Harris Transfer Station, Inc. to Teri Joiner who had been managing the companies since 2002. Jimmy Harris Trucking, Inc. continues to be successful because of the commitment by both management and employees to excellent customer service. As we have grown, we have remained dedicated to our customers and the service that we provide for them. We look forward to working with you and your company and hope that you will become apart of our family that has been serving the community for over 35 years.